The Domino exhaust fan from Mercator is the perfect 3 in 1 bathroom solution for bathrooms as it comes with heat, light and exhaust functionality all in one housing. The Domino combines two warm white 10W LED lights, a 800W heat lamp and a strong fan with extraction capabilities up to 500m3/hr all into a slim modern and minimalist white metal design. 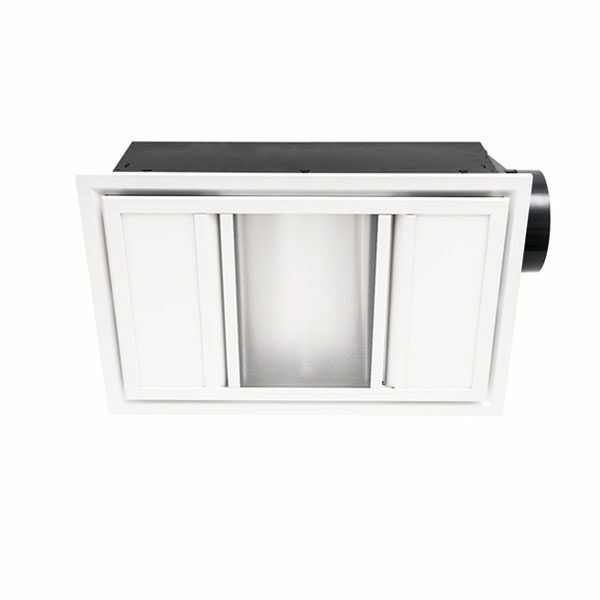 The Domino 3-in-1 Exhaust Fan feature a 60W ball bearing motor, a 800W Linear Heat Lamp and two 10W LED panels all within a slim contemporary design. 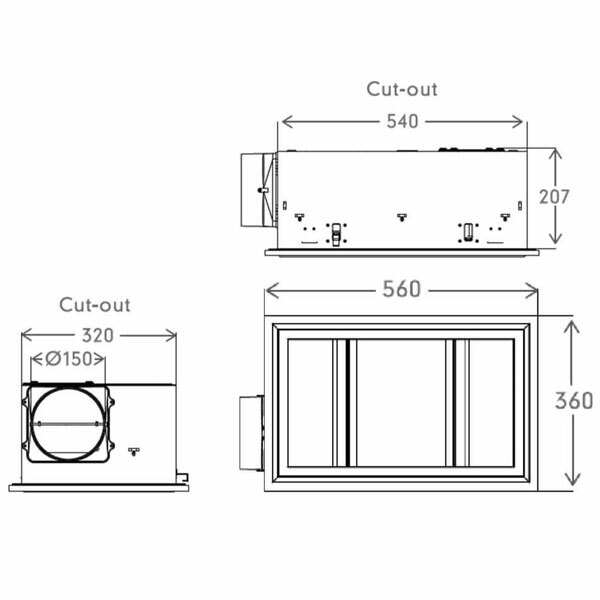 The Domino uses a high powered exhaust fan with an air extraction capacity of 500 m3/hr and includes a draft stopper and is side ducted.